The Maldives are an outstanding travel destination. No wonder that some of the best and most luxurious hotels settled in the north of the Indian ocean. The Maldives cover more than 1,192 islands which form the tropical paradise. Each island is completely unique, and so also the resorts are all different from each other. 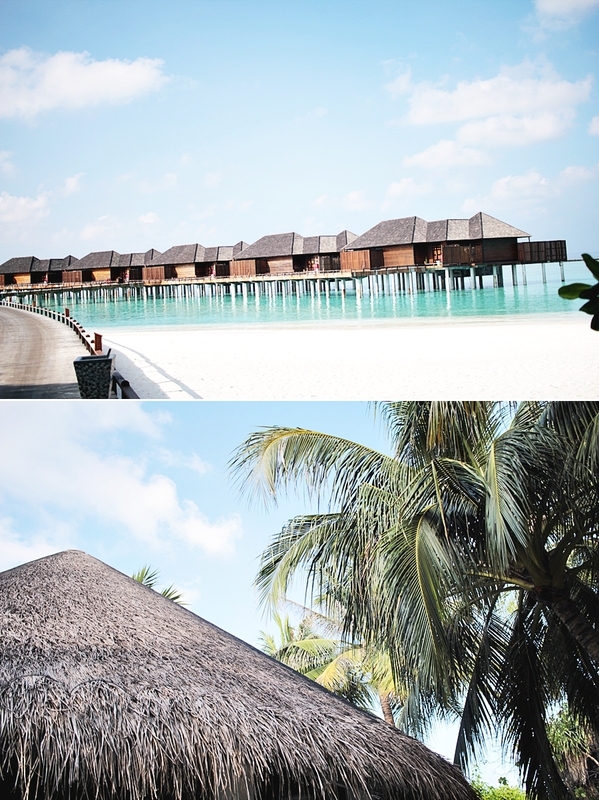 One of these outstanding resorts is the Sun Siyam Iru Fushi resort.. 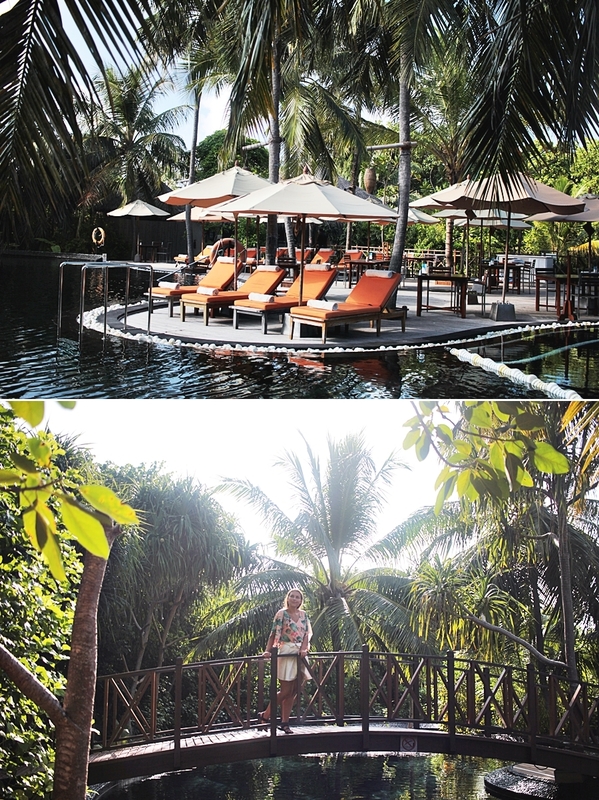 The 5-star luxury accommodation locates 221 luxury accommodation, including 3 exclusive retreats. All of the villas come with complimentary 24/7 care and a private pool. For my transport to resort my ways leaded me back to the airport where I was boarding one of the waterplanes. After roughly an hour I had arrived in the tropical resort. 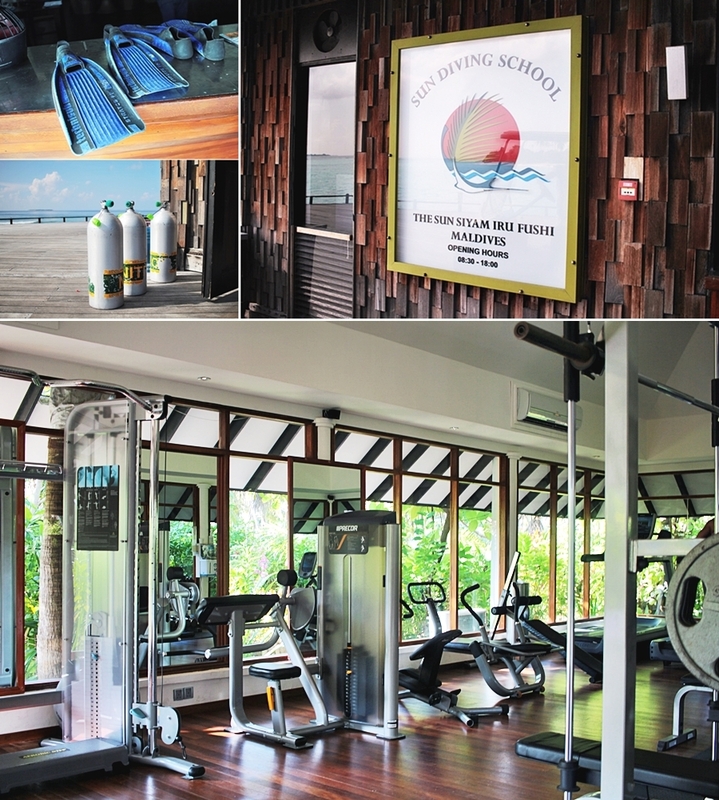 Sun Siyam Iru Fushi resort remains to be one of the biggest islands in the Maldives. 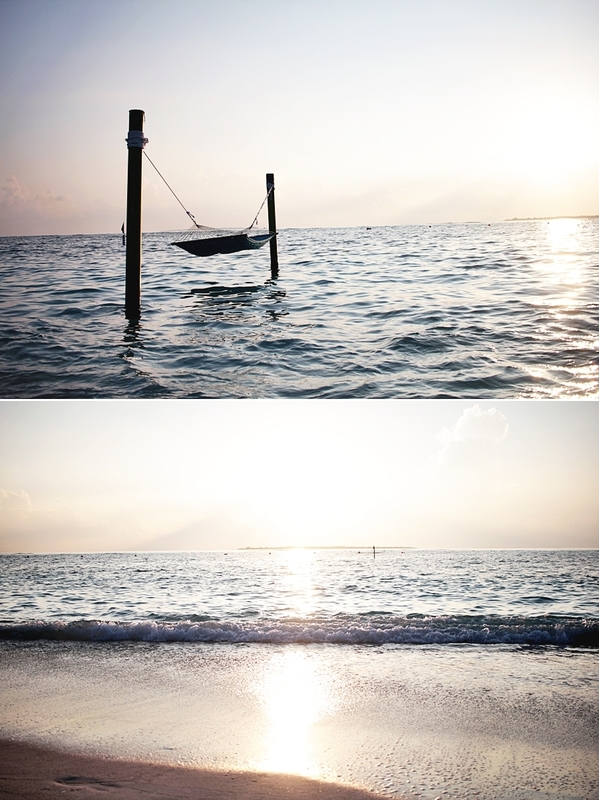 Basically, it was a shame that I only had a one night stay in the resort but I can tell it was still worth the trip. On my arrival I had a quick check in and enjoyed my welcome drink in the bar, which is facing the ocean and the water sports area. It is a lovely place and still very quiet and peaceful. After my welcome drink I discovered my villa. The villa was an absolute highlight. Not only the beautiful welcome sign made out of palms made me feel so welcome, also the whole villa lay out got me loose. Truly, the bathroom was the big surprise. A jacuzzi, a swing and a sky full of stars made me dream away and that night I enjoyed a lovely foam bath with the colorful switching lights in my jacuzzi. It felt like heaven on earth. Also, my villa had a private pool and access to the beach. On the next morning I watched the sunrise over here and took beautiful photos. Also in the night I lay down in my own private cabana and enjoyed watching the stars. I felt to in peace with the world, that was truly magical. Also, the whole theme of privacy on this island is marvelous. Especially for honeymooners and couples this is a nice experience and a romantic getaway. For those who stay in there is also a wide selection of free HD movies with some of recent cinema movies. It can be a great idea to stay in after a long day by the beach and to just get comfortable in the wide bed. Even my stay was a little rush I still made it to the spa and had a wellness experience in the multiple awarded spa, that is always booked. 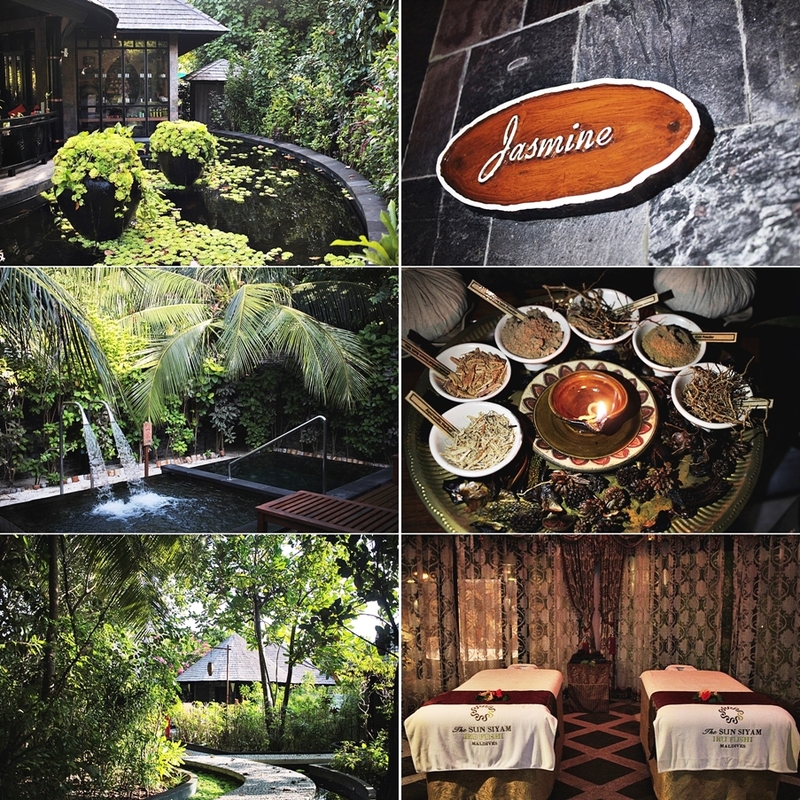 As the resort is so big, there is a total of 22 spa rooms, which are all separate houses, including outdoor bathtubs and a lush garden scenery. It was a whole new experience and the setting is just so amazing. For those who are having a treatment there is also the chance to use the plunge pool, so as saunas and a relaxing area, where tea and water will be served. The Sun Siyam Iru Fushi resort is also well known for its pool. Especially the reflection pool is one of the main photo spots and reasons that guests come over and even I have to admit I took at least 100 photos during my one night stay as the reflections are an absolute spectacle. Something else that guests really enjoy is the daily shark feeding which start by 6pm at the Italian restaurant. 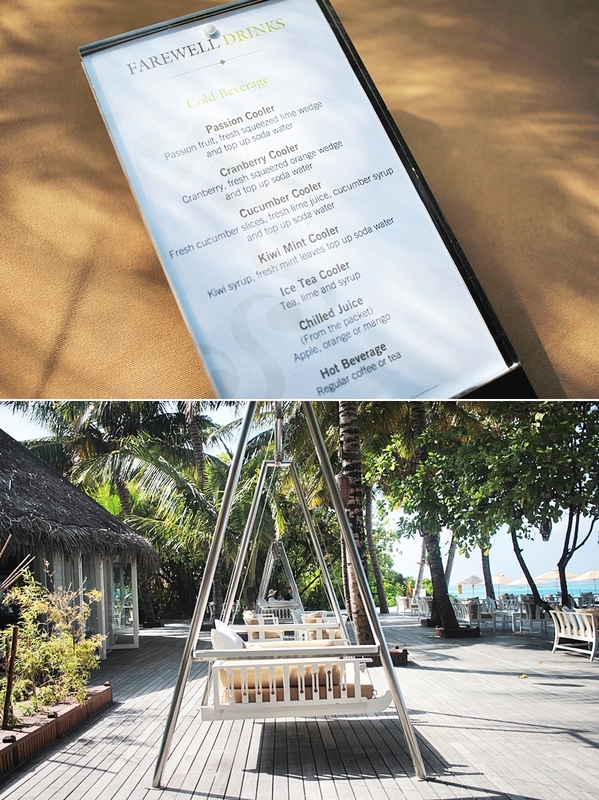 The resorts host by the way 4 restaurants, while one is a buffet restaurant that also opens for breakfast. 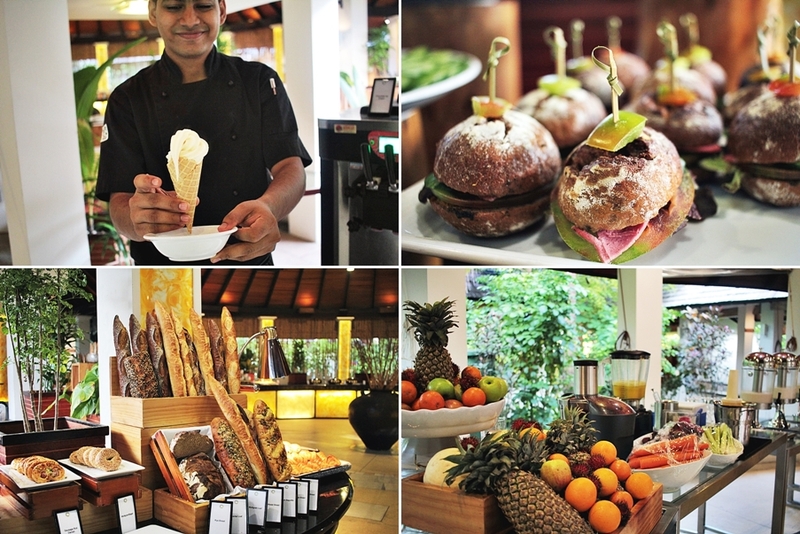 I had breakfast the other morning in the buffet restaurant and really enjoyed the fresh juices and fruit bar. As the resort has a layout for families there are some highlights for kids as well. A soft ice machine for endless refills might be the dream on of some kids to come true. I sadly haven´t had too much of an experience due to the fact that my flight was already leaving in the morning but a crowded place at the resort has been the diving school. The resort hosts a wonderful variation of marine life and diving within this surrounding must be a wonderful experience, I´m sure. As most of the time, good times rush too fast and I was already on my way to check out. 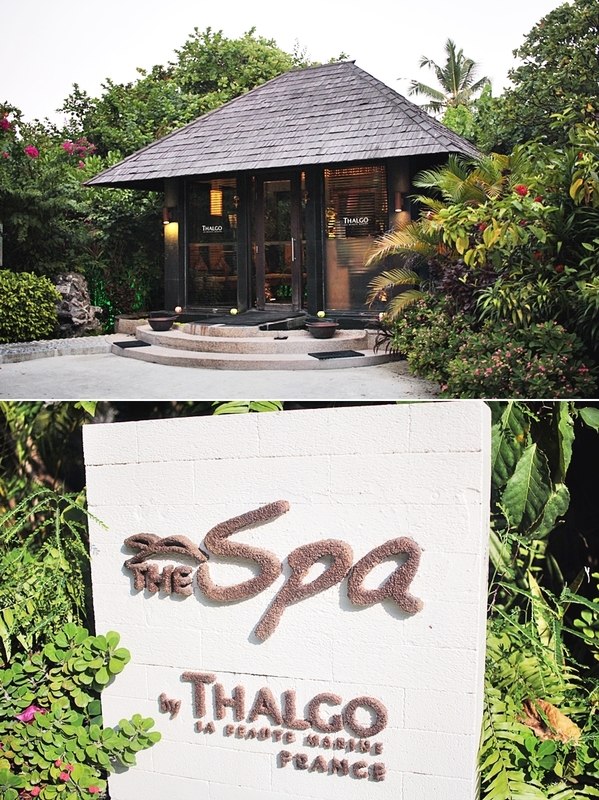 I however spent some more time by the spa, where I had a farewell drink, which is actually “a thing” for all of the guests, as there is a whole farewell drink menu, which is on a complimentary basis. Even if I had a short stay, I liked the resort and the reflection pool and spa have been my highlights. I think that this resort is more out of a layout for families but it could be also suitable for couples due the fact that there´s so much space on the island and everyone gets their valued privacy. Love your pictures and the telling way of your experiences.